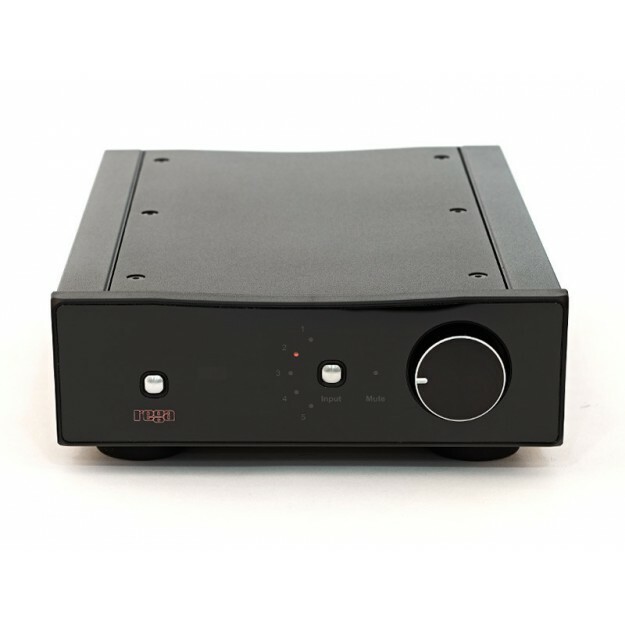 The Rega Brio R amplifier is the British brand’s answer to the Fiat 500! It was first released over 30 years ago and has undergone several changes and facelifts in recent years. In short, it could be said to be in its 4th generation. Unlike most of its rivals,, Rega has never succumbed to the temptation to outsource production to China. Despite what the affordable price suggests, the Brio R is entirely produced and assembled by hand in the UK. And its die-cast aluminium housing is hardly conventional. Like the British electronics of yesteryear and current models by Naim Audio, Cyrus, Onix and others, it is shoe box-shaped. Its glossy black front panel is basic but attractive, with a red, backlit REGA logo, a volume control dial and a button for switching between the 5 available inputs. Another red LED light will indicate which input has been selected. The rear panel boasts 5 pairs of RCA sockets. 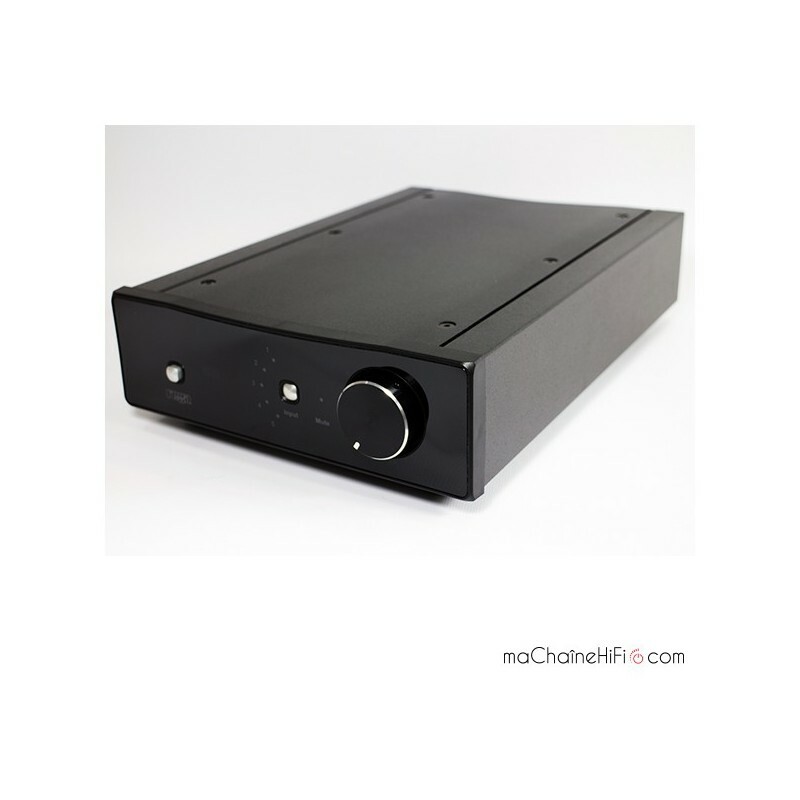 Input 1 has a phono preamp for moving magnet (MM) cartridges. Rega didn't get its reputation as a global leader in vinyl turntables for nothing! This input has been specifically designed to make sure you get the most out of your turntable and records. And if you go looking for the ground plug, you'll find it underneath the main body, bizarrely. 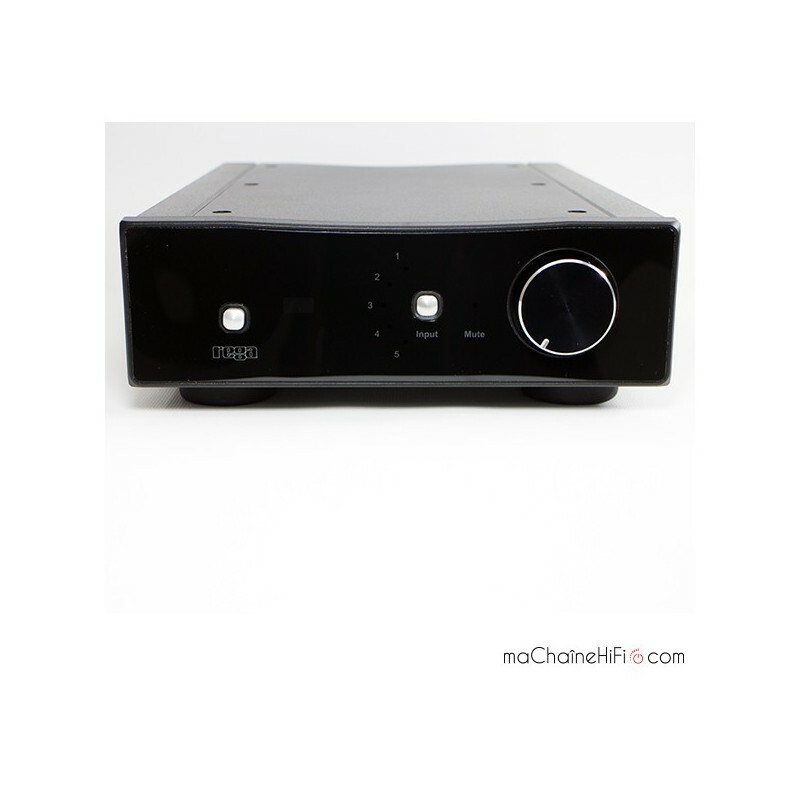 The four other inputs are designed for high output sources (CD, Tuner, DAC, etc.). 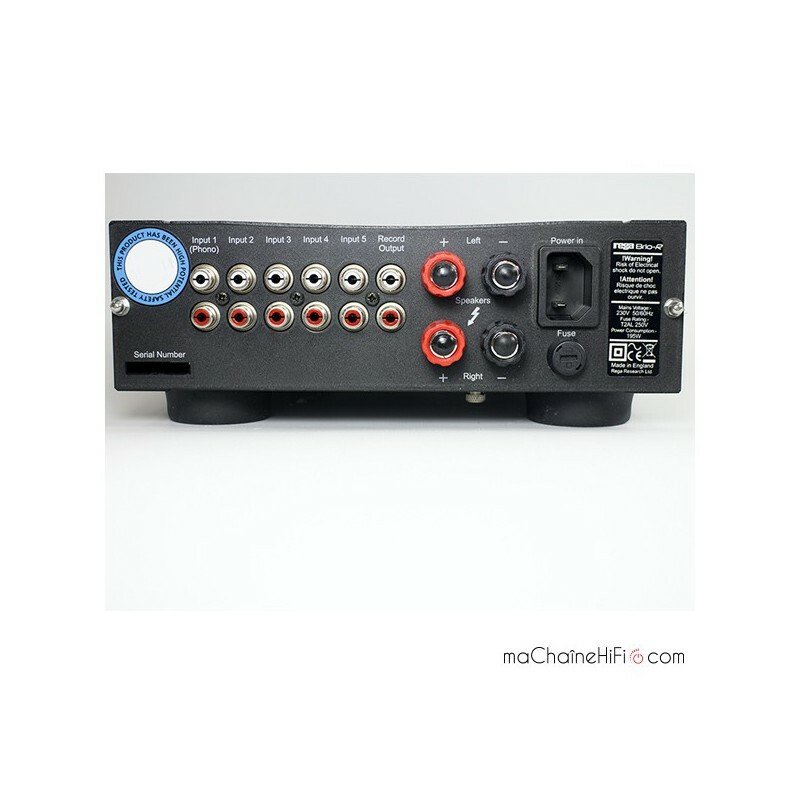 The 6th pair of RCA plugs let you capture the input signal of a recording or headphone amp such as the REGA EAR. And in amongst all this is a circuit of Sanken transistors and an oversized toroidal transformer. 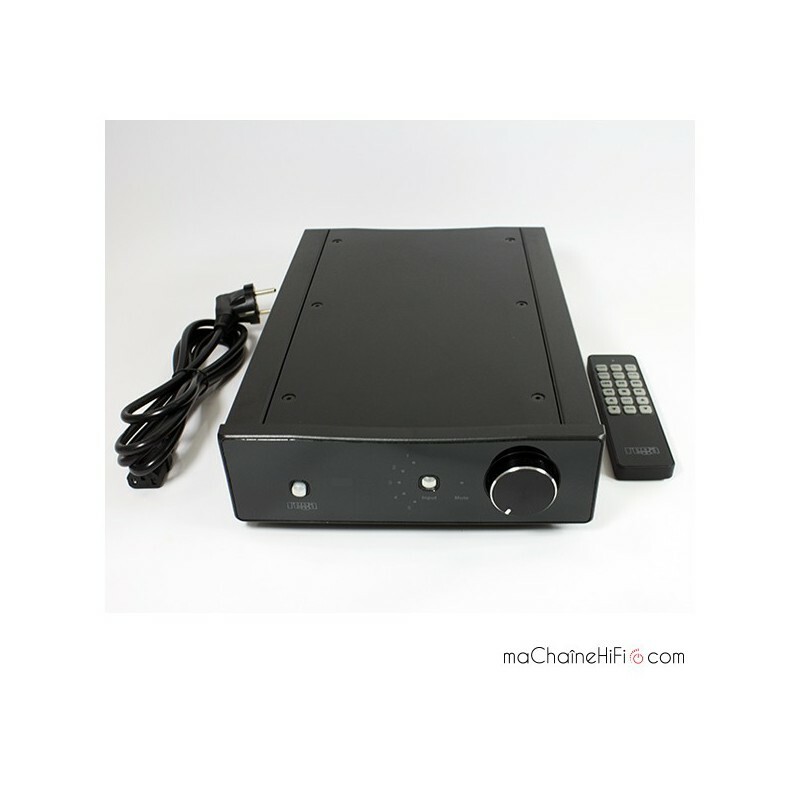 This enables the device to reach an output of 50W per channel with 8 Ohm speakers and 74W with a pair of 4 Ohm speakers. 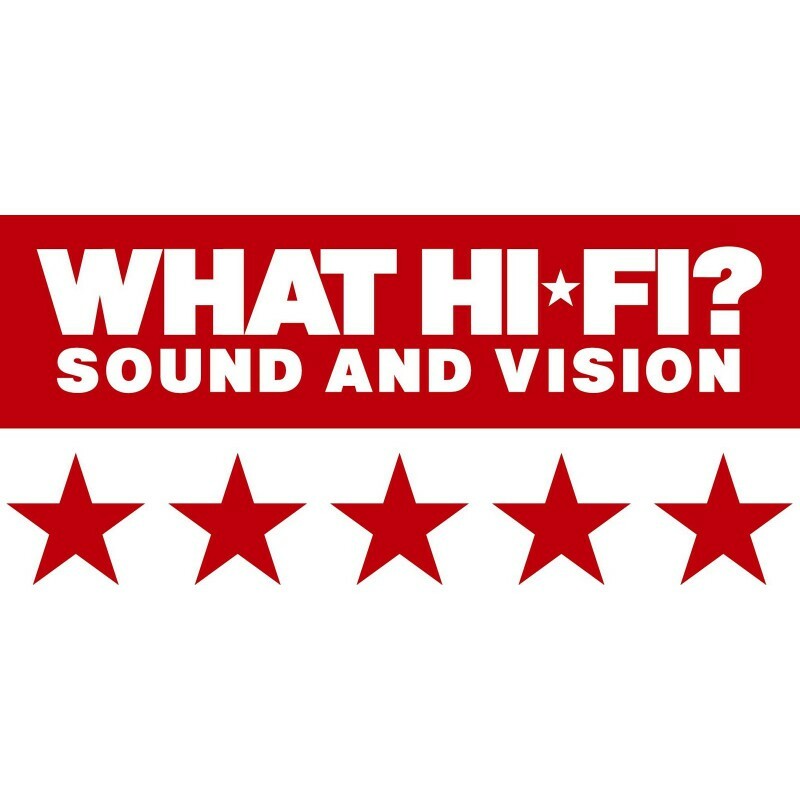 But speakers aren’t the only thing the Rega Brio R can connect to. The clue’s in the name – the ‘R’ stands for remote, as the Brio comes with a remote control included. We tried out the Rega Brio R with the Apollo R CD player and the Rega Planar 3 vinyl turntable. From the very opening bars, we were impressed by the clarity and brightness of the sound. Every instrument sounds perfectly clear and distinct. Vocals have remarkable presence and definition. It felt like we were listening to a much higher end product than we actually were. As usual with Rega, the dynamic range is on point, no matter what source you're listening through. The phono section also betrays that characteristic Rega sound: dynamic and lively, with a delicate balance. When paired with the P3, the musicality of this preamp was simply astonishing. The Rega Brio R amp has to be one of the top two amplifiers we have ever heard in this range – and the other one’s British, too! Bravo Sir Gandy! Que dire de plus.. [ Tous les instruments sont parfaitement audibles et détachés. Les voix sont d’une présence et d’une définition remarquables.] il fait son job et même très bien. Dans sa catégorie il est sur le haut du podium, je suis totalement comblé et satisfait de mon choix.